Biola University recognized 11 alumni — including two New York Times bestselling authors, missionaries, a renowned doctor and a lifelong pastor — during a special awards chapel on Feb. 27. Seven awards were presented for distinguished service and accomplishments in the following categories: cultural impact, missions, psychology, young alumni, lifetime achievement and legacy. 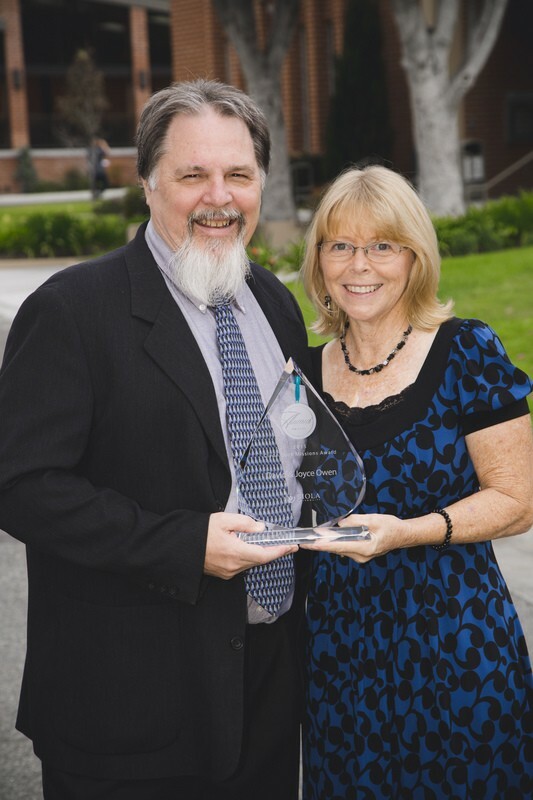 Henry Cloud (Ph.D. ’88) and John Townsend (Ph.D. ’84) accepted this year’s Rosemead School of Psychology Distinguished Service Award. Cloud and Townsend are internationally recognized authors and lecturers on the topics of marriage, family, relationships, business, and leadership. They have each written or co-written more than twodozen books, including the 2 million-seller Boundaries, which recently made the New York Times bestseller list. Cloud and Townsend also co-host the nationally syndicated talk show “New Life Live,” which is heard in 180 markets with 3 million listeners. 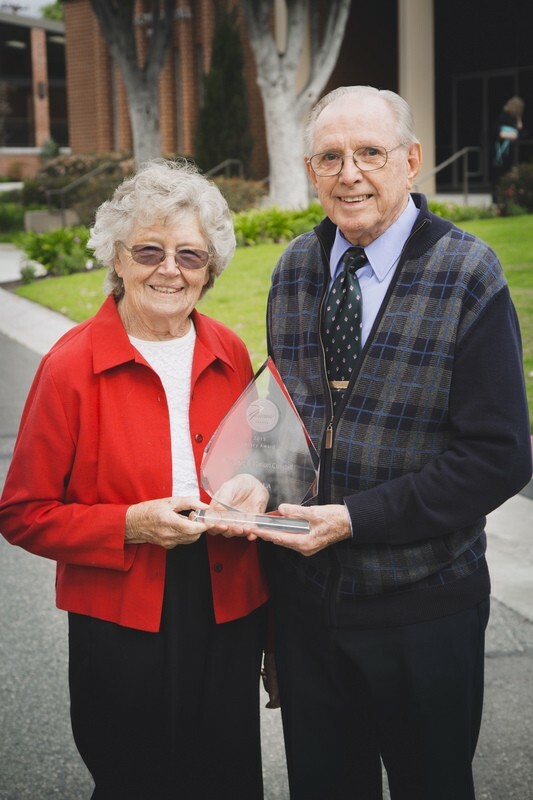 This year’s Alumni Legacy Award was given to the Rev. Dale (’51) and Marion (’53) Cundall. Dale Cundall served as senior pastor at Gold Country Baptist Church in Shingle Springs, Calif. for nearly 30 years before retiring in 2009. 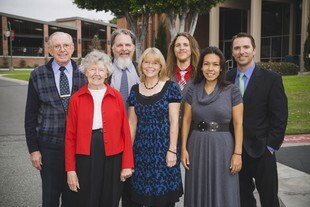 The Cundalls’ ministry has directed many young adults to attend Biola and a large amount of Cundall family members have graduated from Biola. David (’78) and Joyce (’78) Owen received the Clyde Cook Missions Award as co-honorees with their son and daughter-in-law Michael (’05, M.A. ’10) and Samantha (’06, M.A. ’12) Owen. David and Joyce have served in international ministry throughout their careers, including the Republic of Palau and Micronesia. Their service has included David’s current role as president of Pacific Islands University (PIU) in the village of Mangilao, Guam. Under the Owens’ leadership, PIU grew from a small ministry school to what is now a recognized university, attaining accreditation from the Transnational Association of Christian College and Schools. PIU has extension campuses on three other islands — Chuuk, Palau and Yap — and has increased its ministry impact by opening the door for financial aid opportunities, and in turn allowing more studentsto be taught and discipled. 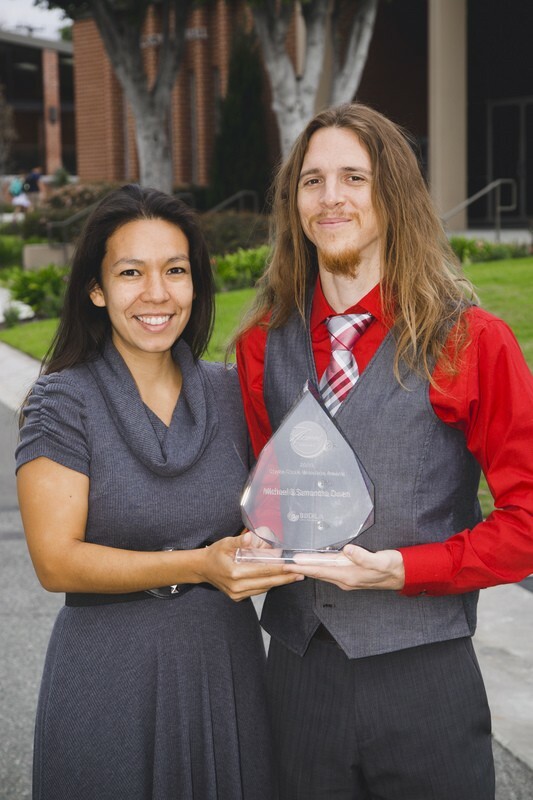 Michael and Samantha have served with their parents as the seminary dean and advancement director at PIU since 2010. They have been instrumental in the recent accreditation and success of the university and in the daily discipleship of the students. 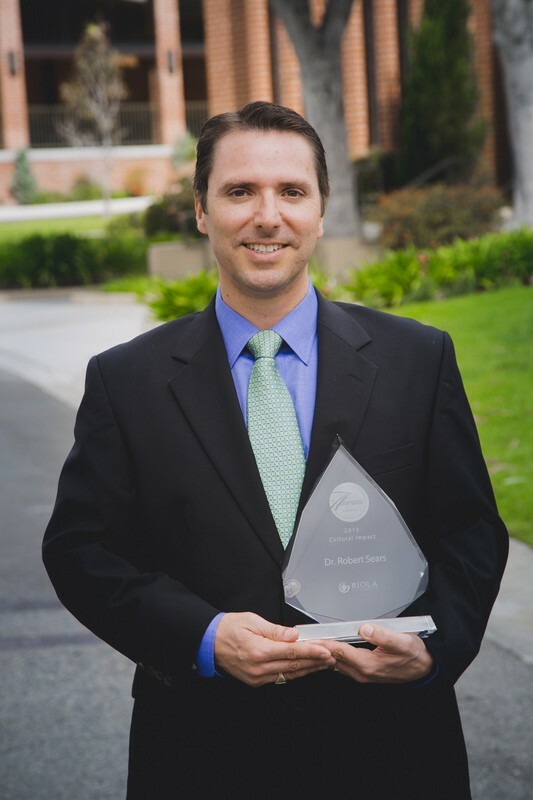 Dr. Robert Sears (’91) received this year’s Cultural Impact Award. Sears spent four years earning his medical degree from the Georgetown School of Medicine. He then began his career in Southern California with a pediatric internship and residency at Children’s Hospital-Los Angeles. Since then, Sears has appeared on numerous television shows offering advice on child behavior and parenting. These shows include “Dr. Phil,” “The Ellen Degeneres” shows, CNN’s “House Calls,” the CBS “Early Show,” and PBS’ “A Place of Our Own.” Sears is also known for authoring TheVaccine Book: Making a Right Decision for Your Child and The Autism Book: What Every Parent Needs to KnowAbout Early Detection, Treatment, Recovery, and Prevention. Andrew Bailey (’06) was presented with this year’s Young Alumni Award. Bailey graduated from the Torrey Honors Institute and received his bachelor’s degree in philosophy from Biola in 2006. He went on to achieve a master’s degree from the University of Notre Dame in philosophy and completed his postdoctoral fellowship at Notre Dame as well. He currently serves as an assistant professor of humanities and philosophy at Yale-NUS College, a partnership between Yale University and the National University of Singapore and the first of its kind in Asia. In this partnership, Bailey teaches a “great works” program similar to Biola’s Torrey Honors Institute. The recipient of this year’s Lifetime Achievement Award was Harvey Lifsey (’56). Lifsey has spent the majority of his life serving as a pastor and missionary in India. He is the founder and president of Christian Dynamics, a missions organization based in Arizona that reaches tens of thousands of Muslims, Hindus, and Buddhists through television and film. The organization also has a ministry to orphans and a pastors training program, which aids the work of many churches in India. Written by Joel Smith and Quinn Clark, media relations interns. For more information contact Jenna Loumagne, media relations specialist, at (562) 777-4061 or jenna.l.bartlo@biola.edu. Congratulations to the Cundalls for their fine ministry for Christ. We share memories of the La Mirada campus groundbraking dedication among the orange grove trees. Serving Christ has been a wonderful adventure.